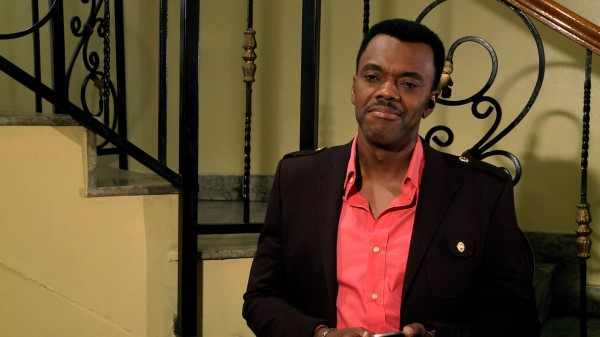 Famous actor Wale Ojo who is a Nigerian-British with awards in his closet has been added to the star studded cast of Africa Magic‘s hit soap opera – Tinsel. Wale Ojo is more known for the television series Meet The Adebanjos, which depicts the hilarious lives of a Nigerian family living in London. He also starred in Kunle Afolayan‘s critically acclaimed Phone Swap. He plays the role of Nosa, a well known established comedian and a lawyer by training known for uttering outrageous truths and taking positions that go against conventional wisdom, but always with a grain of truth in them. Nosa is a well travelled, educated, informed as well as a very street savvy Nigerian with humble roots which makes his materials as a comedian well thought out and informed. On July 7th, viewers will get to see Wale Ojo bring his craft and talent as a trained actor.